I’m so glad to be introducing one of the books of the month. 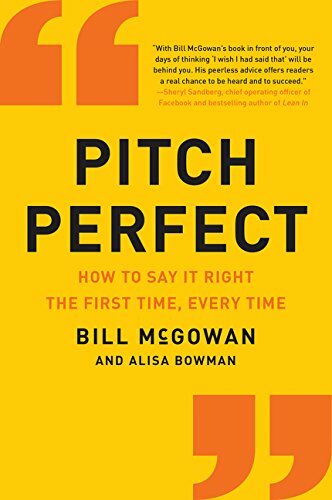 It’s called Pitch Perfect: How To Say It Right The First Time By Bill McGowan. This is a really good book to improve their communication skills or communicate more effectively in a professional setting must read this book. Bill McGowan is an award winning columnist and has tons of experience. Pitch Perfect is a breeze to read, you can finish it in just a few days to become a better communicator.